You've chosen the web's best information processing solution. Setup is fast and simple. It takes approximately 1 hour to configure and activate your UserID. You will then receive your welcome email from our Support Team with the information you need for uploading your first file. Email Append, Reverse Email Append, Phone Append, etc. Speed: We're fast. 98.5% of all processing completed within 3 hrs. Tab-delimited, custom-delimiters, etc. We accommodate it. We work hard to make our users happy. And pricing is an important part of this. 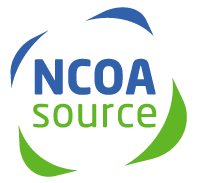 In fact, we're known far and away as the most affordable NCOA provider for one very good reason: We believe in treating our users as we liked to be treated, and this means selling our services at the lowest pricing possible, rather than the highest price possible. It really is that simple. So, no matter if you're a single-time user with a small list, or a daily user with large volume, you'll find the same great pricing available to everyone. And there are never - ever - extra charges.